I am headed back to New York today for a luncheon at the NFL offices. We’ll be discussing sports safety and how to spot a concussion in children and others. And despite the obvious fun of a quick trip back to the city, I am really excited to learn about keeping my boys safe as they grow and play various sports. 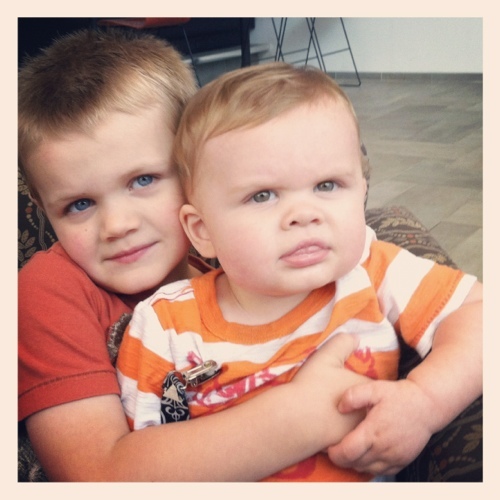 I think about my boys constantly and what it means to be their mama. To raise them according to what we believe as parents using the Bible as a guide. It’s not easy and I constantly wonder what I am doing now that will one day be the thing about which we say, can you believe we did THAT?! I have so much anxiety these days when it comes to flying. I never did before I had kids but everything changed. It had to. My heart, already one with Jerry grew another two chambers when i had my boys. Now we all beat together and while I love to travel, I am always pulled home. I am grateful. SO grateful for the life I get to live. Yes, I want to keep my boys safe and teach them how to be thoughtful guys who grow into honorable men. But more than that, I hope they remain thankful. I pray that we can somehow teach them to remember that no one ever succeeded alone. That its ok to need support and be grateful when they have it. So far it seems to come naturally to them and I am so proud. Sometimes all it takes is a quick trip north to remind me of everything I have right here at home.